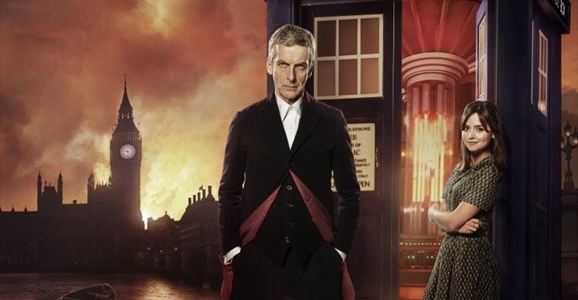 Doctor Who Season 8 Is Headed For Blu-Ray, But Will It Be Here In Time For Christmas? We’ve still got three episodes remaining in Doctor Who’s season eight, and it’s been a fascinating ride as we’ve watched actor Peter Capaldi settle into his role as the latest incarnation of the rogue Time Lord. 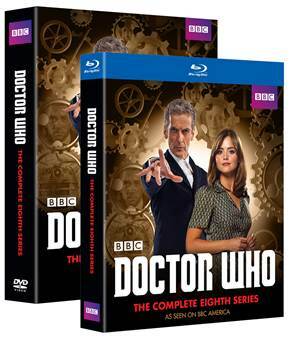 If you haven’t been keeping up with the recent run of episodes, you’ll soon get the chance to marathon through them at your own pace, as BBC Home Entertainment has revealed a release date and details for Doctor Who: Season 8 on Blu-ray & DVD. The Who sets have a good track record of including all sorts of worthwhile bonus features, and this one looks to be no exception. Especially with a new Doctor in the house, there should be plenty to talk about across the set’s multiple features and episode commentaries. If I have one complaint, it’s that we won’t be getting a commentary on “Listen,” easily one of the best episodes of the season. And yet we are getting commentary on “Kill the Moon,” easily one of the worst of the season. To quote a memorable Firefly character, does that seem right to you? The Blu-ray lists for $89.98, but you can currently pre-order it on Amazon for $69.96. The DVD set lists for $79.98 and is available for $54.96 on Amazon. Of course, if you’re only interested in the show itself and don’t want to wait until December, you can grab digital versions of the show from Amazon Instant Video and iTunes, where episodes become available as they premiere on TV.